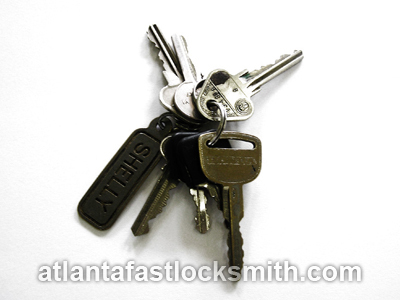 If you live in Atlanta, GA, and you never considered adding a lock to your garage, now is the time to do so. Whether you are heading away for vacation and need to ensure that everything is locked up and protected, or you tend to work long hours during the week, having properly installed security mechanisms in your property – and especially your garage – will spare you from any unnecessary worries. You see, we would like to believe that door openers are enough to keep a garage secure. But even the best designed openers could backfire on you as nothing is ever 100% fool proof. Would adding a garage door lock help prevent the worst case scenarios? 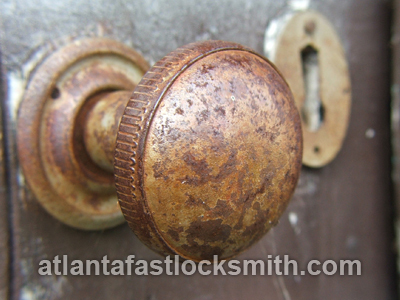 At Atlanta Fast Locksmith, we certainly believe so. Read through as we explain in more detail the importance of installing garage door looks into your Atlanta, GA property. Like we said, garage door locks are an essential addition to any property’s protection. Essentially, these will serve as an additional security mechanism in case any criminals manage to override your garage door opener’s control code. Garage door technologies are always evolving to respond to system vulnerabilities. When automatic door openers were first introduced, door codes had a limited set of combinations. What that meant was that it only took a few tries for thieves to start replicating these codes and using them to their own advantage. Thieves would drive around with a remote, pushing the button until a door finally responded to the code and then looting the property without a second thought. To counteract this initial fault, garage door opener manufacturers introduced rolling codes, which constantly change (or roll over) to prevent thieves from replicating them. Which is great – but there are still workarounds to the current system. For example, criminals could still exploit your garage door’s emergency release, or they could pry their way into faulty door openers. This is where the added security from a garage door lock comes in. Even if a burglar is able to activate your opener, the locks will ensure that your Atlanta, GA, property is well protected. This is a given with all types of security mechanisms, but is especially true for garage door locks. Think about it: the garage is usually the entryway of a property. So it really is a no-brainer that added security for your door should be on top of your priority list. With a garage door lock installed, you control who can access your property through your garage. It is up to you to decide who can lock or unlock the door, and how conveniently anyone could do so. This is sure to provide some peace of mind over who has access to your property at any given time. All it takes to install a lock into your garage are a couple of securing screws and bit of technical expertise to ensure that they are installed correctly. A licensed and insured locksmith will be able to do this for you in matter of minutes, checking that all mechanisms are functioning in the best possible manner. It’s an affordable investment that will make the difference in the long haul. There are three types of locks that an Atlanta, GA, based locksmith business may install for you. The most common of those is an opener unit, which prevents the manual opening of a garage door by securing it when it is in the down position. Another type of lock is known as the T-handle. These are in installed on the outside of the garage door and need a key to unlock. A security bar installed in the turn handle protects your garage door by locking the door track down, or releasing it open once the key has been turned. The last opener type is the side lock. As the name suggests, these very simply slide a bar through the side to lock it. Side locks are very easy to install and prevent anyone from opening your garage door by overriding opener functions. As we previously mentioned, a credible locksmith service will make sure your new garage door locks are working correctly. But that’s not all that you can get from a locally-based professional. For instance, the licensed and insured team at Atlanta Fast Locksmith will gladly explain to you the pros and cons of the different garage door locks that you can choose from. We offer free consultations and price quotes to our customers so that they can discuss some options with us and gather all the information that they need about our services. If you are happy with our abilities to provide you with exactly what you are looking for, our Atlanta, GA, based team will schedule a time to come and install these for you at your convenience. By then, we would have given you a full walkthrough about our installation procedures and how much they will cost – so it is just a matter of putting everything into action. Security matters tend to warrant special attention, so we make sure to provide the best security services promptly. With garage door locks, it is no different. Not only can we quickly install your brand new locks into your Atlanta, GA, property, we can also check any other security issues right there and then upon your request. What’s more, because we are a locally owned and operated locksmith business, our experts can help you out 24 hours a day, 7 days a week, during any kind of lock and key emergencies – whether it is related to your garage door security or otherwise. As you can see, garage door locks will provide you with some much needed peace of mind over your property’s security. The help of a trusted locksmith in our city will enhance your capabilities to keep your property protected. So make sure to talk to an expert to find out more about how they can help you keep your garage secure.